Looking for a way to support MISSD with your purchases? If you go to Amazon Smile, a percentage of proceeds from your purchases on Amazon will go to MISSD. Just make sure you chose MISSD as the organization you would like support. You must go to Amazon Smile to place your order and not the regular site. Please read the link below with some more details. As always thanks for your support! Please join No Shame On U on WEDNESDAY, MAY 16th at 7:30pm at AMC Village Crossing in Skokie for our screening of Suicide: The Ripple Effect. The film chronicles the story of Kevin Hines, who at age 19 attempted to take his life by jumping from the Golden Gate Bridge. Since then, Kevin has been on a mission to use his story to help others stay alive and find recovery. MISSD Founder, Wendy Dolin will be participating in a discussion panel after the movie. 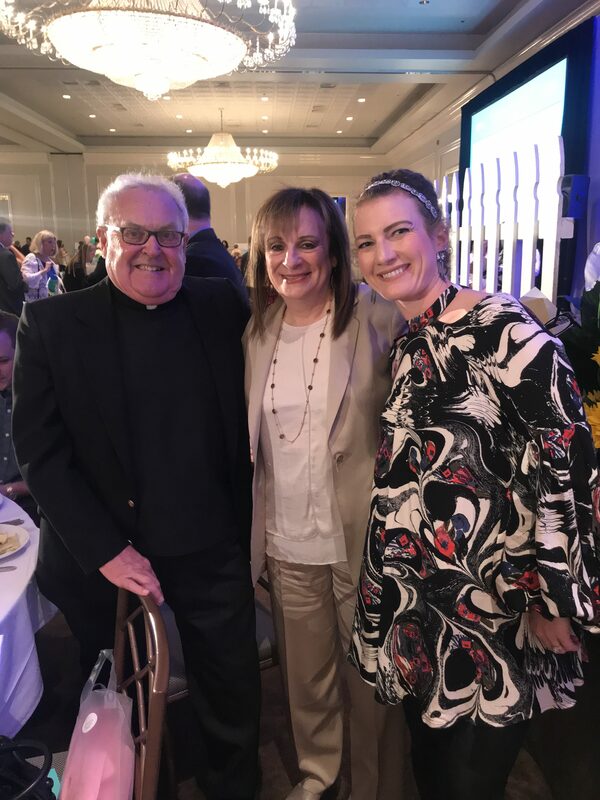 MISSD executive board members attended, the LOSS Catholic Charities of the Archdiocese of Chicago, 27th Annual Blossoms of Hope fundraiser on April 29. The organization was founded by Father Rubey, who is pictured below, with MISSD founder Wendy Dolin and executive board member Nikki Carvelli.